There are two different types of access to your Prota. Depending on the type of access you have, you may have a limited authorization to useProta's features. At the end of the configuration, you will receive an Access Link by email. Prota authorizes your device with this link. Please note that the device you used for the configuration has been automatically authorized during the configuration process. 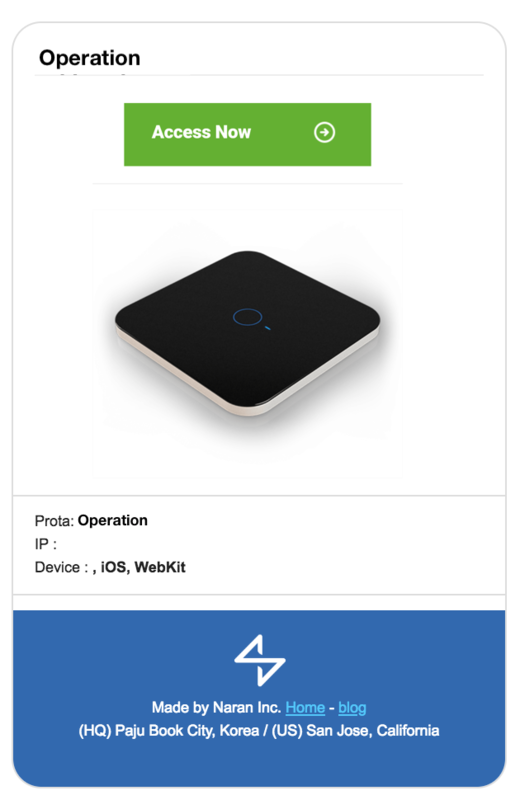 To access your Prota from a new device, you will just need to open the link. 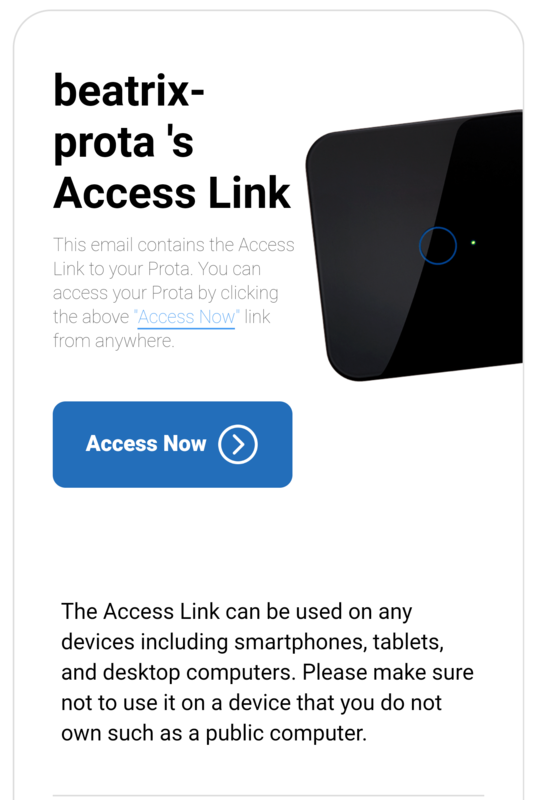 You can also share the Access Link on Prota Space to different devices and different people (family members, friends...) As this link is permanent and universal, if someone gets it, he/she can access your Prota anywhere, anytime. Therefore, you need to be extra careful when sharing your Prota's access link with someone else. Share the Access Link ONLY to devices owned by you and people you trust. 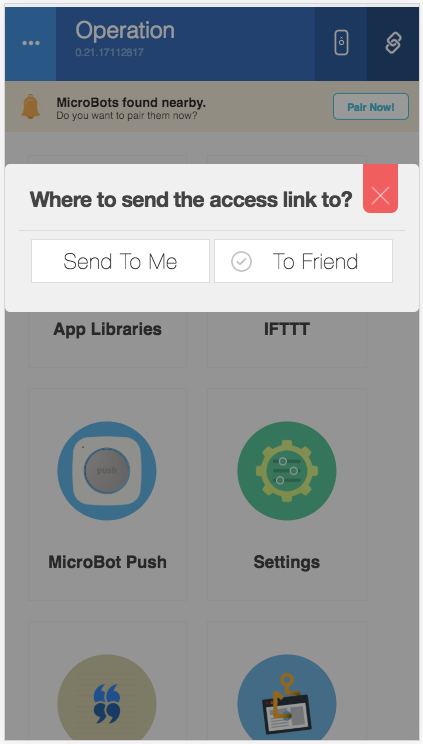 You can grant access to other people using the invitation access link. The invitation access link doesn't give full authorization but grants a limited access to Prota's features instead. 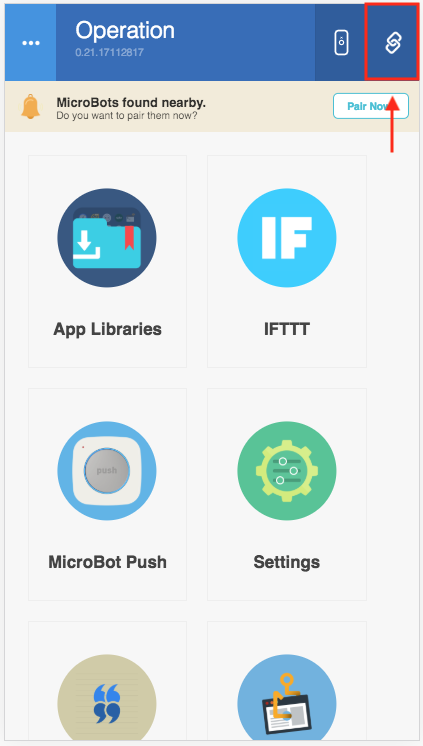 For example, a person using an invitation access link cannot uninstall an app and cannot update the OS. Note that the "Access Now" link is on a green background, which indicates that it is an invitation link, as opposed to the blue one in the original access link. If you need full access or have trouble with Prota's features, make sure that you are using the original access link and not the invitation one.